In many facilities, visitors are still registered using a handwritten paper log. While this method is perceived as quick and easy, it provides virtually no security and leaves visitor information available for anyone to see. Automated visitor management systems lend a more professional appearance to check in systems, enhance security and meet compliance mandates for the collection and auditing of visitor data. HID Global, a trusted security industry leader, has put its expertise behind visitor management. We offer highly secure and reliable visitor pass solutions and check in software that to meet the needs of small or large organizations. What Do I Need My Visitor Management System to Do? 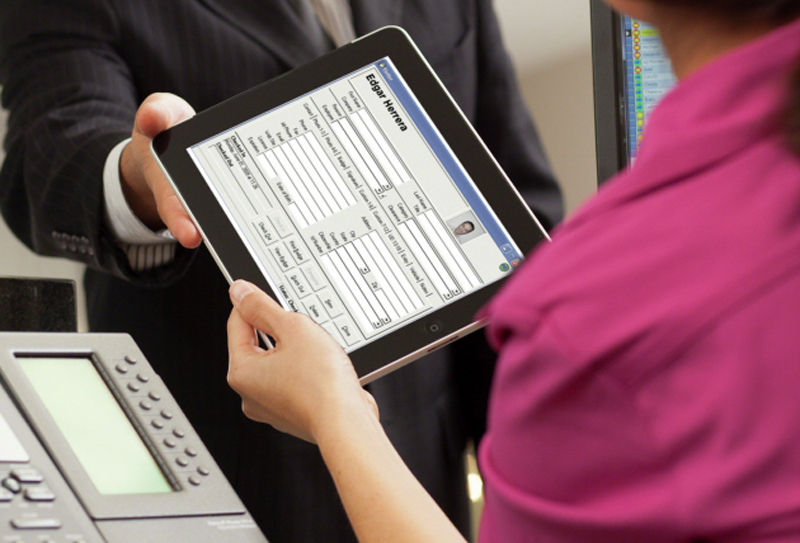 Whether you are currently using a paper guest book for visitor sign-in, have lobby attendants greet and check-in visitors, or have an unattended lobby, HID Global’s EasyLobby® visitor management system can support a streamlined single lobby or fully featured solution for multi-site organizations. Choose the EasyLobby visitor management solution that best suits your needs. The decision matrix to the right can help you determine which product is right for you. Visitor management system designed for the needs of any size organization. Comprehensive enterprise solution for visitor registration, tracking, reporting, badge printing and management of assets. Perform database administration including real-time monitoring and reporting functions. Perform database administration, as well as real-time monitoring and reporting functions. Monitor entry and exit at one or more “check points” for visitors who have already been badged at a SVM workstation. Intuitive and cost-effective visitor management solution that replaces traditional guest books. A flexible alternative to using a lobby attendant to check in visitors. HID Global's EasyLobby® Secure Visitor Management solutions allow organizations to automate the entire process of registering a visitor, printing a badge and capturing detailed information in seconds by simply scanning an ID (such as a driver's license, business card or passport). 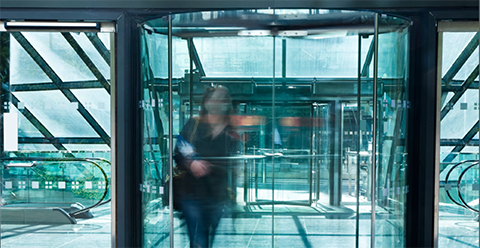 HID Global visitor management solutions keep buildings safe and secure. Learn why organizations choose us. 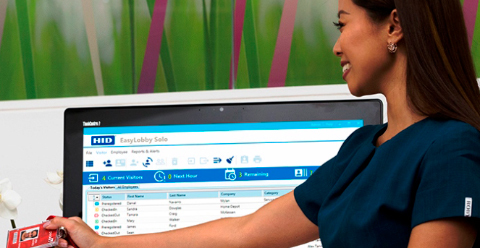 Connecticut Children's Hospital Case Study: After employing EasyLobby visitor management, Connecticut Children’s receives a high rating in their security audit. Ballston Spa School District Case Study: How one school improved security for students with EasyLobby Secure Visitor Management. From the day we first went live with EasyLobby, I have been impressed with the ease of use and the speed of the system." Read additional case studies about HID Global visitor management solutions. HID Professional Services offers highly specialized expertise and technical knowledge to help ensure the successful end-to-end implementation of a secure visitor management solution.